Is your house not the getting the attention that it once did? Or maybe it’s getting the wrong attention of critters and weather invading your living space. Perhaps the neighbours are starting to whisper. 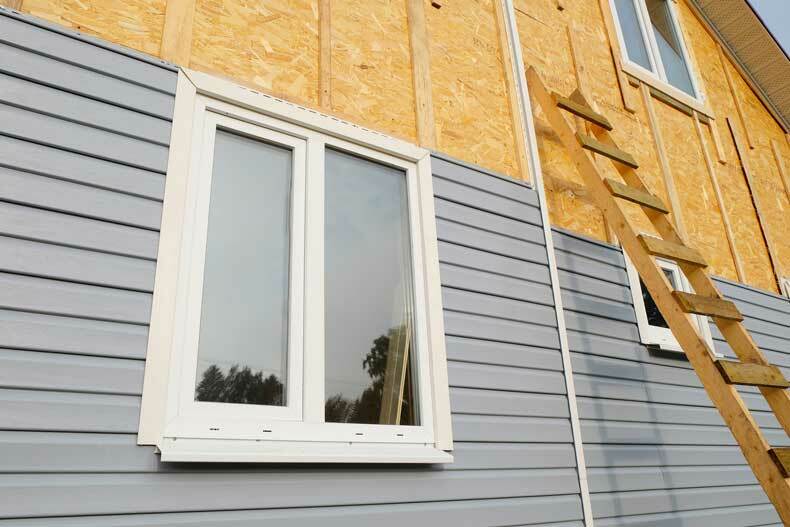 Whatever the reason that you’re considering siding installation, we’ve got five practical reasons you should make this investment sooner rather than later. Let’s take a look. It prevents moisture from collecting in and around your exterior by creating a system in which water naturally flows down the side of the house rather than lingering to cause mould, mildew, and rot that can destroy your home and make your family sick. It becomes a barrier between your home and squirrels, carpenter bees, woodpeckers, spiders and other creatures who like to nest and burrow. Carpenter ants, who are drawn to homes with wet and rotted wood, will go the other way because the house is protected from the elements. Siding helps insulate your home. Beneath each panel rests a pocket of air. Because this air is contained. It heats and cools more slowly than the outside temperature. This helps keep the indoor temperature more stable so that your furnace has to do less work while allowing you to stay more comfortable. As homes age and settle, tiny gaps can form between roof and walls, around windows, etc. Siding installation reduces these opening to the outside to minimize drafts that can make a room feel colder than it is. Because the air conditioner has to do less work, your energy bills will often be lower. When the temperatures drop, you’ll be able to heat your home and retain indoor heat more sustainably because of this added insulation. Furthermore, some siding includes added insulation or materials to further magnify the effects of siding. If your existing siding is damaged, cracked or separating, getting your siding repaired is a smart investment. Getting siding when you redo your roof can help you save time and money on installation and further impact your energy costs. You may have a home that was built in 30’s, 40’s or even more recently. It may have cracks and damage that make it look old and worn. We’ll be the first to admit it. Siding does have an aesthetic appeal in addition to being practical. Not only are you protecting the home and those inside. From the street, you’ll feel like you have a new home. According to studies reported by CBC News, siding can increase your property value by $8 thousand to $10 thousand with an average return on your investment of 81%. In the real estate world this a high payback for home improvement. It means that you can get the siding now and enjoy it. And then if you sell your home in a few years, you’ll get most of your money back. Whether you need entirely new siding or want to repair existing siding, there are so many reasons to consider getting siding now. It protects your home. It protects your family. It looks great. And it increases your home value. Now’s the time to make your home look brand new. Contact us today.